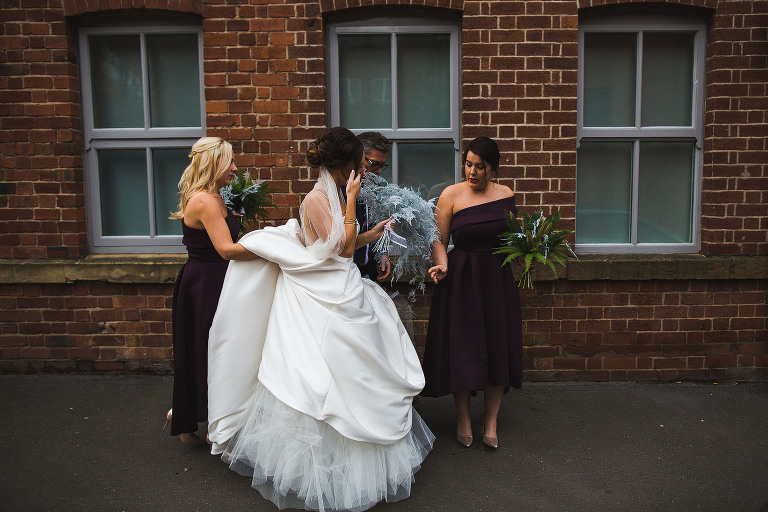 Laura & Jonny | 99 Mary St + Trafalgar Warehouse, Sheffield | Jenn Edwards & Co. It gives us such delight to share with you this incredibly awesome winter wedding of our bride Laura. 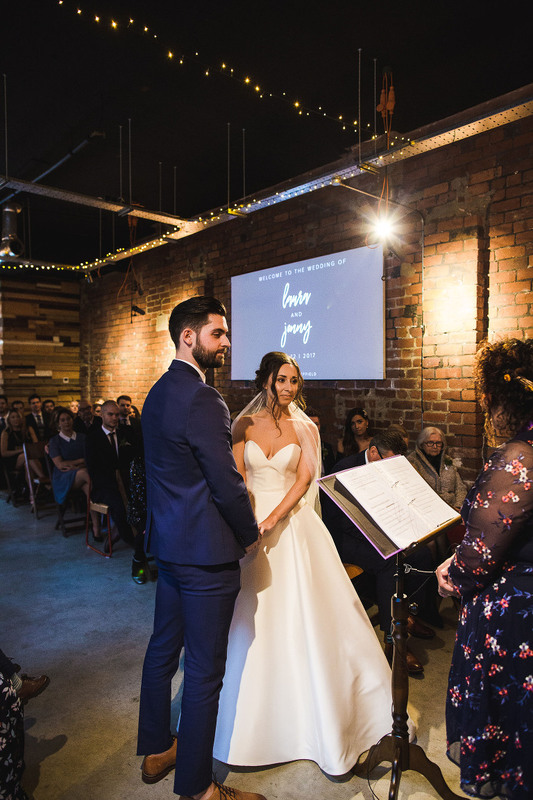 It sits close to our hearts with Laura and Jonny using some of Sheffield’s top wedding suppliers and our industry buddies. 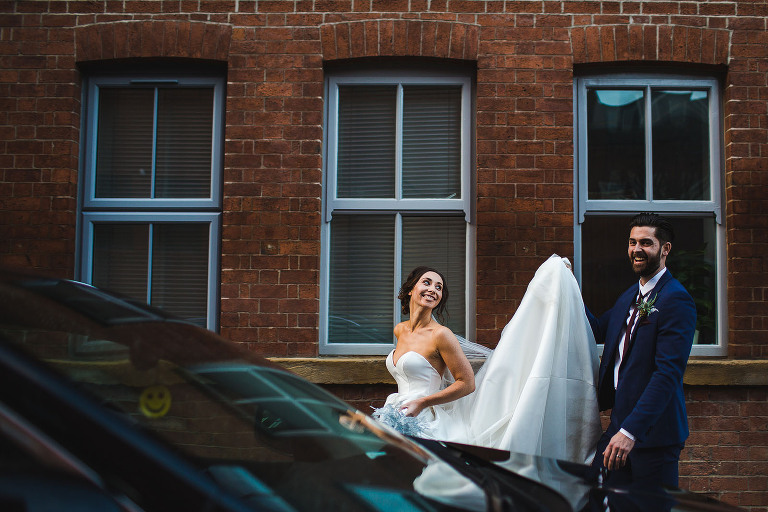 Laura and Jonny married in December 2017 with their ceremony being held at the super cool, urban venue of 99 Mary St in Sheffield. 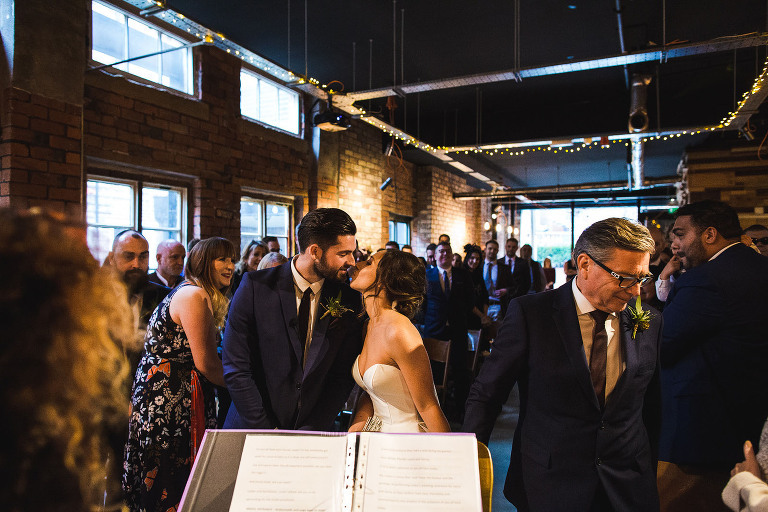 They partied with their friends and family afterwards at Trafalgar Warehouse, where Jonny surprised Laura with the DMU Gospel choir. I mean, come on!… This wedding literally couldn’t get any cooler! Both venues were brought to life by the very talented Ellie of Inner City Weddings and looked radical! Laura was an utter joy and delight to work with right from the start. Her laid-back, warm, positive and joyful persona was infectious. It was hard to not grin from ear to ear whilst in her presence. We had such a fun morning and it was hard to say goodbye. Jenn and Kelly styled Laura with a relaxed up do and natural make-up. Laura looked simply sensational in her matt, silk dress with the coolest pockets! 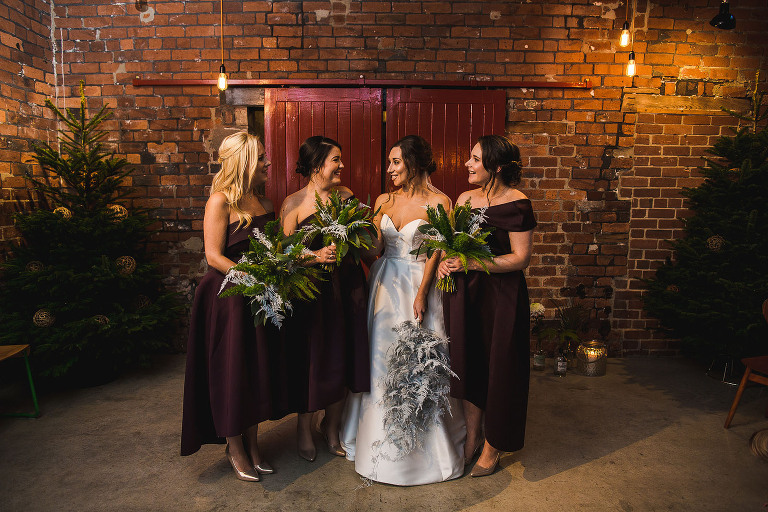 Her ethereal, wintery bouquet was created by our wedding buddy Tracey at Campbells Flowers and in our opinion was utter perfection for Laura’s whole “cool kid, urban” theme. We thank you from the bottom of our hearts Laura for making us a part of this day, one we will always remember.. Huge thanks to Jon from S6 Photography for as usual, the most insanely awesome images.